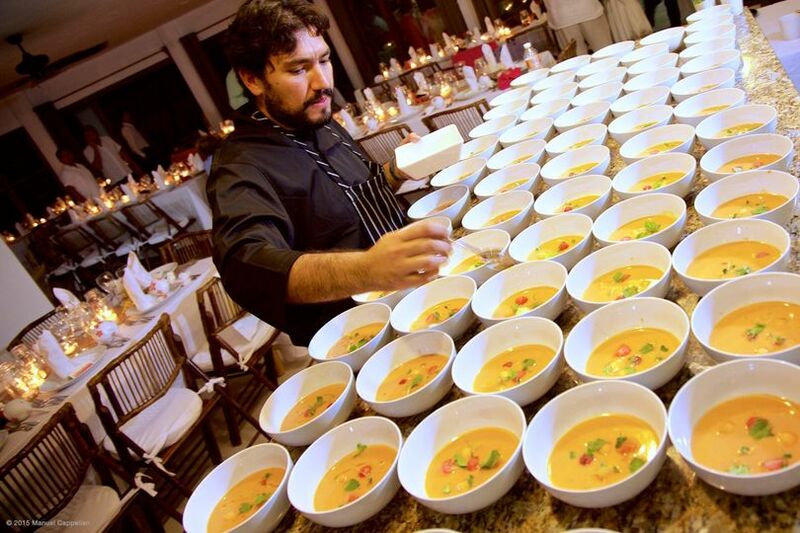 Chef Javier Ornelas has been catering private events and weddings for 8 years in and around Tulum, Mexico. 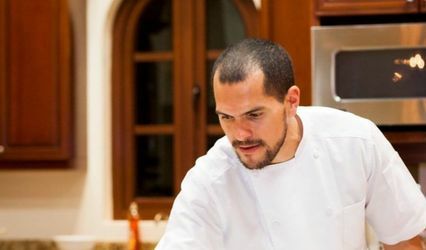 His food has been featured in the New York Times travel section and Fodor's travel guides as an award winner. He will work with each client to make sure that their menu is exactly what they want. We were fortunate to have Ginger cater our wedding in Tulum and we were thrilled with the results. 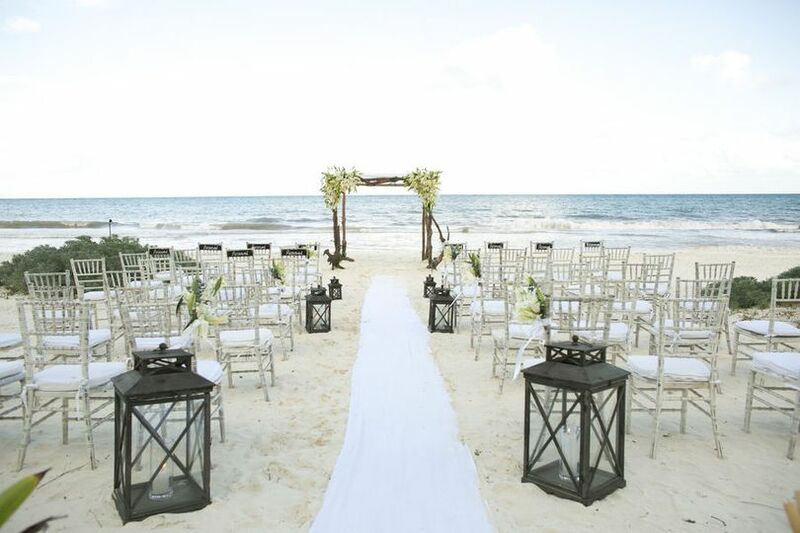 They came highly recommended by our wedding planner (Synda at L&L Your Wedding Planner Tulum) and now we know why. Chef Javier's entire meal was fantastic. Appetizers, entrees, sides, and even dessert were all excellent (don't miss his Pan de Elote! It's off-menu, and we found an interview online where Chef shares that it's his wife's favorite dish, and made a special request to have it alongside our wedding cake and it is so delicious!). We chose an assortment of grilled meats and a fresh catch fish, and each dish was rich and flavorful. We also loved that the meal was served family style so there is ample food for all. We received so many compliments from our guests about how great the food was. And they accommodated dietary restrictions with no problem. No one went home hungry (even our vegetarian friends!)! Chef also offers a fun late night touch-- we surprised our guests with a second meal of midnight tacos (which were so delicious!) and it kept the dance party going into the morning hours. 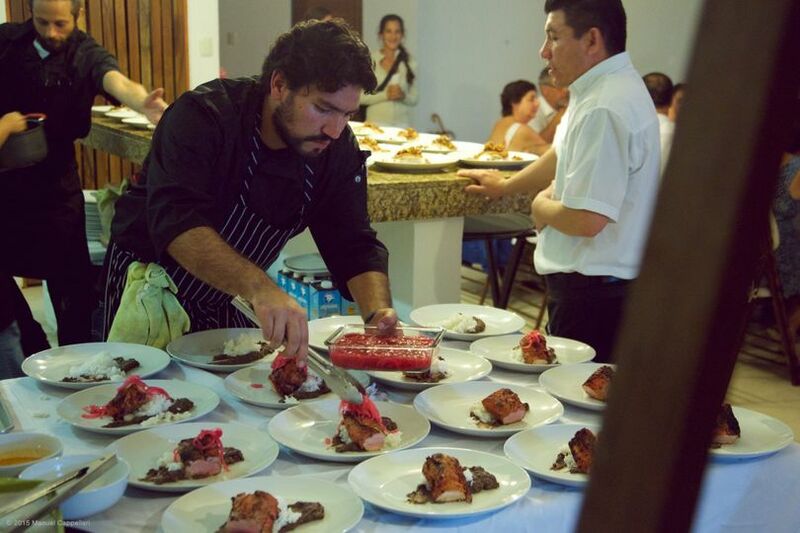 Do yourself a favor and hire Ginger to cater your wedding dinner in Tulum-- their food is the best, their staff offers excellent service, and you will leave thrilled with the results. We can not thank Morgan and Javier enough for all they did to help make our wedding day such a success! Their willingness and ability to communicate promptly and efficiently made the planning from abroad simply easy. Additionally, they and their staff were incredibly professional, attended to every detail and absolutely delightful to work with. Javier, your special care, and attentiveness towards my parents was priceless; it made them feel quite special. 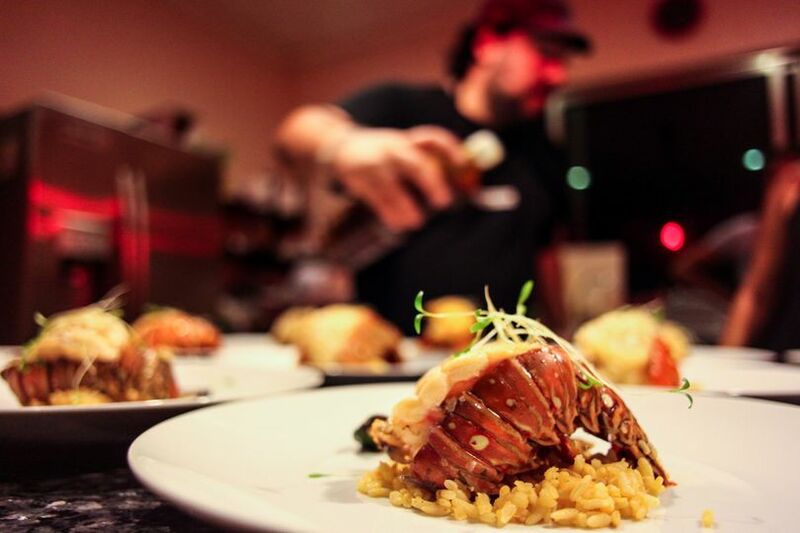 Even to this day, our guests are still raving and salivating over the food; Javier your talents in the kitchen are second to none! It truly was an honor and a pleasure to work with Ginger! 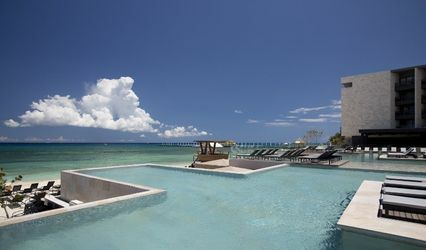 We can not wait to be back in Tulum; our first stop will be to dine at Ginger. Chef Javier is the absolute best!! From the moment my husband and I entered his restaurant for a tasting, we knew we had selected the perfect caterer for us. Javier greeted us warmly, and presented us with 6 dishes as a sample of his style. We literally ate every last bite off our plates, everything was delicious! On the day of the wedding, Javier and his team were incredible. Everyone was so friendly and efficient, all of the plates came out beautifully, and guest after guest exclaimed it was the best food they had ever had at a wedding hands down! Javier was so kind to accommodate the tastes of a wide range of kids, two vegan guests, and some guests with dietary restrictions with ease. 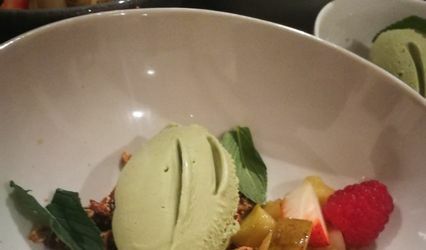 It is so nice to work with a team who clearly enjoys what they do, and it really showed both in the quality of the food and the friendliness of the service. Thank you Chef Javier and team, you helped to make our wedding as perfect and memorable as we could have hoped for! 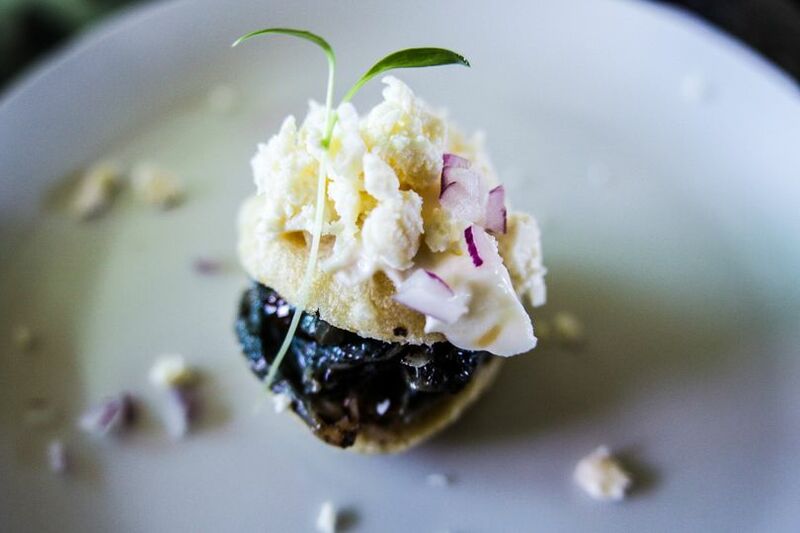 The best food in Tulum for weddings! we love it! !